Buy rare vinyl records, out of print albums, music collectors' records, vintage music, vintage records, and used cds, 33s, 45s, hard to find and out of print LPs from Bill Krohn's Boulevard Records in Kalamazoo, MI. We have been buying since 1964, selling rare and used records to the public since before 1978, and on the web since 1997. Right now we have more than 20,000 vinyl records available with more added every day. Contact us today to find out about selling those dusty vinyl records in your basement or shipping record albums. Music collectors will love the special collection of obscure Michigan bands we keep in our home warehouse. You can find these and a wide array of used and other rare music from 33s to 45s, vinyl records from the golden oldies or hard-to-find LPs on our site. Just search for the music you want alphabetically. We offer lower prices and more personal service than you'll find elsewhere. 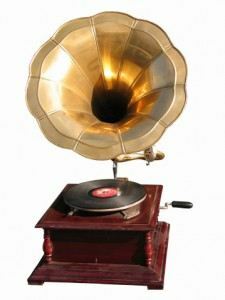 As music collectors, many of our friends needed an outlet for their excess CD and vinyl music collections. We hope you will find what you are looking for, whether it be an LP, singles, vinyl records, albums, 33s, 45s,and CDs. We have no store so, if you're in south west Michigan, stop in to see our collection in our warehouse. Please let us know what you want and we will get right back to you through e-mail. Everything is listed except for the items not catalogued yet, and we're working as hard as we can to list those hard to find LPs that no one else has. 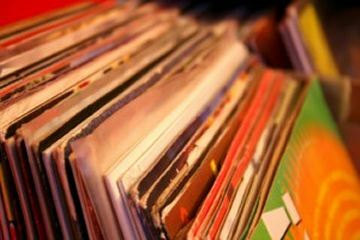 We will take your vinyl record albums & out of print LPs in good condition to help you sell them online. All record albums are sold on consignment at different prices depending on the condition and inventory of that particular record. Like everything else, the rarer it is, the higher the price. However, to make sales, we sell below market value or whatever the going price is. Vinyl Records, Collectors Records, Vintage music, Vintage Record, Kalamazoo, MI, out of print albums, rare vinyl records, music collectors, collectible, 12 inch dance, Beatles records, jukebox 45s, cds and lots more! We accept PayPal, Money Orders, in US currency only. We treat our customers as we would want to be treated. Coming soon, place a special order for hard-to-find vinyl LP and CDs! Out of Print Albums, Rare Vinyl Records, Music Collectors Records, Collectible Records, 12" Dance Records, Beatles Records, Out of Print Records, Jukebox Records, 45s, CDs, LP Records, Music Records, Out of Print LPs, Vinyl LP Records, Detroit Rock, Classic Rock, Cheap Music, Rock Music, & Country Music. I treat my customers as I would want to be treated, and I'm sure you would want to be treated.